Judy Coates Perez: Show your stuff! 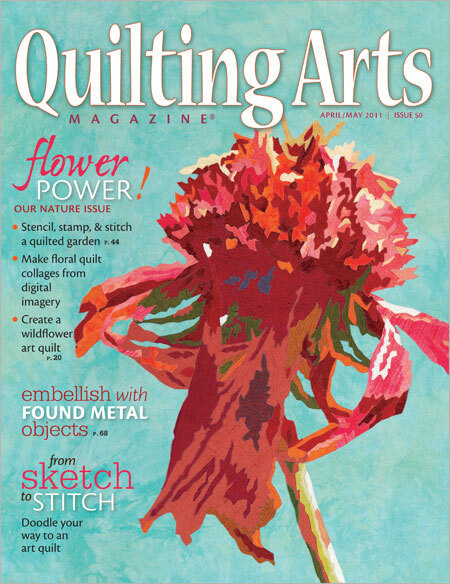 Are your inspired by the projects in Quilting Arts magazine? 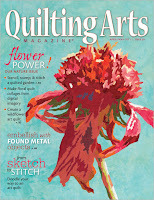 If you like trying out new ideas and techniques, Muppin from the Quilting Arts Forum has a new challenge for you. The artwork can be any size and any technique that you have seen in the magazine over the last 10 years, but your work should be something new made for this challenge. Upload your photo to the forum page by May 31st and show your stuff! Random participants will also get prizes. I have some older issues I found in a thrift, love looking through them. There is a project in one that I have been wanting to try, done with gravestone images. I did a small one to try and it didn't come out the way I wanted, so will have to try another.